What happened to the Leonine Prayers? What ever happened to the reciting of the Leonine Prayers after Mass? To give you some background on the Leonine Prayers: Back in the days where the Extraordinary Form of the Roman Rite (a.k.a. Tridentine Mass) was the only form of the Roman Rite, Pope Leo XIII asked that the Leonine Prayers be said after every low Mass. When the Novus Ordo came out, the imposition (in other words, forcing) of reciting the Leonine Prayers was suppressed, according to Inter Oecumenici, a document put out by the Consilium of Sacred Congregation of Rites. This means that the Leonine Prayers were not required to be said after Mass. However, there is spiritual benefit from reciting these prayers. Certainly, with Pope Benedict XVI's Summorum Pontificum, this tradition has come back for low Masses in the Extraordinary Form. Believe it or not, these prayers can still be said after what would be the equivalent of a low Mass in the Ordinary Form of the Roman Rite (a.k.a. Novus Ordo). I would certainly say that those prayers SHOULD be said after the equivalent of a low Mass in the Ordinary Form. Those prayers contain some big spiritual gems. If you don't know what the Leonine Prayers actually consists of (I give the Latin, with the English in parentheses): the sequence of prayers consists of 3 Ave Marias (Hail Marys), 1 Salve Regina (Hail Holy Queen), 1 Saint Michael Exorcism Prayer (short form) (a.k.a. Prayer to Saint Michael), and 1 Cor Jesu. If you want the full text of these prayer (either to get started or as a guide), I have the full text of all the prayers uploaded, with Latin on the left side and English on the right side. I've started the tradition of saying these prayers at my parish after daily Mass (since daily Mass is the closest thing to a low Mass). The amount of people I get varies, but there's always 1-3 people that always say it with me every time without fail. Another thing: If the Latin version of the prayers is an impediment for (full) participation for many people, do the Leonine Prayers in the vernacular. We should be doing anything and everything to make it easier for EVERYONE to participate, so if the vernacular is what gets the most people to do it, use the vernacular instead of the Latin. If the people aren't comfortable with the Latin and you are using the vernacular, you should probably wait AT LEAST a few months before engaging the people to make the suggestion to recite the prayers in Latin. With all that is going on in the world, we certainly need extra prayers, and this is one way to get them. The St. Michael prayer is exceptionally good because with Satan and his many temptations these days, we really need God's help through the intercession of Saint Michael. So, with that, do you already recite the Leonine Prayers in your parish after every low Mass-equivalent? Are you interested in getting this started at your parish? Do you have any other thoughts on this? Please let them be known via the comment box below. You can also follow me on Twitter (username is @rctechgeek) or e-mail me (e-mail address is catholictechgeek@gmail.com). If you thought having Microsoft's Windows, Apple's Mac OS X, and Linux for operating systems was enough, you were wrong. So now it seems like everyone wants their own operating system. Google has Android and now Chromium (which uses the linux kernel as its core). On the handheld and mobile phone side, Samsung has their BaDA operating system. To make things even more confusing (and nerve-wracking for both developers and consumers), now Mozilla is looking into making an operating system for mobile phones and tablets. Word has it that for this new operating system, Mozilla has decided to use Android's kernel and drivers as its base instead of Linux kernel and drivers as its base. As a developer, this makes trying to make a program that will have a version for every mobile (and perhaps desktop too) operating system more of a pain. Personally, I like Firefox, but I think Mozilla should just work on trying to perfect Firefox more (especially in the "ram used" area) before trying to venture in the world of operating systems. From a consumer's standpoint, this makes things complicated. Do I want a tablet running Windows, mobile Mac OS X (a la iPad), Android, or Mozilla's new os? Do I want a phone which runs Windows Phone, Android, mobile Mac OS X (iPhone), BaDA, or Mozilla's new os? This also has the potential for the many who do not do their homework before buying an expensive item like a laptop, a tablet or netbook, or a mobile phone to buy something they doesn't fit their needs and/or something they later regret buying. Now I'm not totally opposed to Mozilla making an operating system, but I do think this is a bad time to do so. If Mozilla does go through with making an operating system, as soon as they release something like an alpha or beta version, expect the patent war to begin again and for all of the patent lawyers to start a suing frenzy, which brings me to another point. In the world of user interfaces, it is certainly possible, but I don't thing you can make a graphical user interface shell these days without running into a patent issue. It seems like many of those companies (yes, I especially mean you, Apple) will file a patent for just about anything. When another company builds on what that patent entails and either creates something similar, but different or creates something better, the patent hounds are released and they go to war with each other. I know that companies want to protect their intellectual property, but if anyone from said companies are watching, please consider which patent lawsuits are worthwhile to pursue and which ones are not worthwhile to pursue. Frivolous patent lawsuits clog up the courts and waste hard-earned time and money. That's all I have to say on the issue of operating systems for now. If you have any thoughts, comments, or questions on this whole operating system mess, please make them known via the comment box below. You can also follow me on Twitter as well (username is @rctechgeek). With all these posts I've been doing on Technology and Catholicism, I thought it might be nice to take a break from all that and talk about music. Anyway, through my study of music, I have found that each key that can be used in a key signature has a nature to it (and maybe feelings too) that warrants a certain key more suitable to convey a certain setting or situation than other keys. Here are some examples of what I mean. Please note I am referring to mostly the major keys and some of the minor keys, but not any other keys (like G Lydian). I will start with C and proceed through the circle of fifths. A: solemn, could also be good for big bass sound?? Am I the only one who has ever thought along these lines? Have you ever thought about this or something similar to this? Do you agree with my choices or do you have a better suggestion for any of the keys (major or minor) I have chosen? If you could help me fill in the blanks that would be great. Please let it all be known via the combo box below. You can also follow me on Twitter (username is @rctechgeek). If you didn't get the news, Amazon.com has apparently slashed prices for renting electronic books for its Kindle reader by as much as 80%. This sounds like good news for those of us who have a Kindle or use the Kindle reader on a computer or pocket pc/smartphone. However, the renting sets a time limit on how long you can use the ebook before it becomes unusable. Printed books (new or used) don't have this problem at all. But is it worth choosing an electronic copy of a book over a physical copy of a book? The argument for electronic books is a simple one. Who really wants to carry a backpack full of books on his or her back all day? With electronic books, I only have to carry around my ebook reader in my backpack and all of my books are stored in my ebook reader. However, like everything in life, there is a proper time and place for electronic books. Books having to do with math and the sciences have little use for electronic books. For these books, you will often find that people may write notes in these books to help them to study and remember concepts. With electronic books, the software may allow you to enter page notes, but unlike physical books, you cannot position the notes on the page where you want them. Also, many of these books are kept for reference, as the next level of a subject matter builds on the previous level. For these kinds of books, you are better off buying a new or used physical copy of the book. I can see electronic books working for areas like literature. For these classes, you will have to buy many books which you will use in class. For most of these books, you will probably not need them again in your lifetime, so a rental of that book for a period of time makes sense. Computer Science/Computer Engineering is another area where electronic books can work. With the way technology grows and gets completely outdated, it's only a (short) period of time before a book on a particular topic gets outdated. If you get an electronic version of the book, you take it to learn the concepts and you can grow and build from resources outside of it (like the internet). For those books that teach basic, universal concepts, however, those books should be physical ones. Now I also have a critique of the cycling of textbook versions by college professors. Before you decide to switch to a newer version of a book you are using, please review the new version first and compare it with what you are using now. Many times, the newer version of a textbook is only slightly different from the version that you are using now in your classes (some examples of differences are organization of the book, different page numbering, etc.) From a student's standpoint, it's not worth buying the newer version of a book if I can find a slightly older version of the book for less money than the newer version would cost if all of the concepts taught in the newer version of the book can be found in the older version of the book. I know it's still the middle of the summer, but perhaps this will give both students and professors/teachers some time to think about this in preparation for the fall semester. Personally, I prefer my math and science books to be physical ones, while my literature (and other arts classes, except for music theory) to be electronic ones, but that's just one man's opinion. If you have any thoughts on this, please let them be known via the comment box below. You can also follow me on Twitter too (username is @rctechgeek). Well, in the course of the Imagine Cup, things are (almost over) just beginning. Yet, everyone still has time to make a difference as to whom this year's winners are. I am speaking, of course, of the People's Choice Award. This is the one time where the decisions are out of the judge's hands and into yours. Go ahead and vote for which team that YOU think is worthy of this award. Time is running out though, because you only have until 21:00 GMT on 7-12-2011 (you can use this to figure out what time this is for you) before the voting is over and the results are in. Don't delay, VOTE NOW! If you want general Imagine Cup information (if you want more information or want to get ready for next year's competition), you can find that here. Do you have a favorite team? Do you have any thoughts on any of the teams and their projects? Let me know via the comment box below. You can also follow me on Twitter too (username is @rctechgeek). Update (7-12-2011): I was wrong about the timing of the Imagine Cup. The Imagine Cup actually started on the weekend and continues throughout this week. However, the deadline of 21:00 GMT on 7-12-2011 is correct and still in effect. Get your vote in before time runs out. BSA Eagle Tracker is not dead in any way, shape, or form. What has been taking a while is a couple of ui redesign issues after talking with a few of my friends in boy scouts. Anyway, I am happy to report that a countdown algorithm is now in place. After asking you for your birthday when you first set up the program, the program uses the given birthday to tell you how many days you have until the hard deadline, a scout's 18th birthday. Now, do you like the first picture or the second picture more? For the first picture, to get to the full requirement text, the user chooses the requirement from the dropdown and presses the button. For the 2nd picture, to get to the full requirement text, you basically click on the text part of the checkbox. That is for the star rank, and I only have the eagle required stuff on there for now. You basically choose a merit badge from the list of available badges. Once a merit badge is "taken" it won't show up on another dropdown's list of available merit badges. And yes, in case you are wondering, I did put support in there for the eagle-required "choice" merit badges. Depending on the response I get from you, the readers, I might be giving the interface an overhaul (so stay tuned) and is due to change. For now, I would like to know which of the 2 pictures above would be better. Please let me know what you like better via the comment box below. I am always open to new ideas and comments so I can make this program better. You can also follow me on Twitter (username is @rctechgeek). It has recently been made known that Steve Ballmer plans to include some new information about the next version of Microsoft Windows, Windows 8, in his keynote address at the 2012 International CES Conference next January. With Windows 8, the shell gui is getting a makeover, integration with social networking and Xbox Live is being added (with, what I am guessing, is the death of the "Games for Windows" line and integration of those titles into Xbox Live), and a version of "mainstream" Windows is being made for ARM processors. It looks like the new look of the Windows shell is here to stay. If you still use the traditional keyboard and mouse, you are going to have a fun time with the new interface, which is designed for touchscreens. I am still hoping that Microsoft will not throw the whole hard keyboard + mouse combination out the window while trying to design the shell gui and add in some options that will make the new window manager still easy to use with keyboard + mouse. It is also noted that Windows 8 will be available for computers with ARM processors. It will be interesting to see how Microsoft has designed Windows for ARM processors. ARM processors are usually associated with embedded hardware, with the main method for (permanent) storage usually being flash rom and the os is flashed to a "rom chip" which upon booting, is "unpacked" either to ram (for smaller embedded systems) or to flash rom (which is the usual method used for embedded hardware). This is because embedded systems most have weaker processors than a desktop or laptop, but they also use less power. be able to get past the processor limitation, because those programs are usually "write once, run anywhere", provided the other system has the needed runtime environment and libraries for your program. Other than this, there hasn't really been any new Windows 8 information in a while. I imagine that we will be getting more information on Windows 8 as we head into the Fall and in Winter too. As far as Windows on ARM is concerned, I think it is a good addition to Windows. However, Microsoft should not forget that not everyone owns a tablet or a computer with a touchscreen and that many people still use the traditional desktop or laptop with keyboard and mouse/touchpad. I would just like to remind everyone that since this is still in the (programming) labs, things are due to change. If you have any thoughts on this latest information on Windows 8 or Windows 8 in general, I am happy to hear them. Please make them known via the comment box below. You can also follow me on Twitter as well (username is @rctechgeek). Edit: If you didn't see my older article on Windows 8, you can find it here. Are you a parent and your kids are just sitting around the house, bored over the summer? Are you a kid between the ages of 9 and 17? Are you an elementary, middle school, or high school science teacher and you are looking for something fun to add to your curriculum this year? Are you an educational researcher looking to see what effects video games can have on education? If you answered “YES!” to any of these questions, Selene is what what you have been looking for! Selene is a game which challenges kids to learn about how the moon was formed. 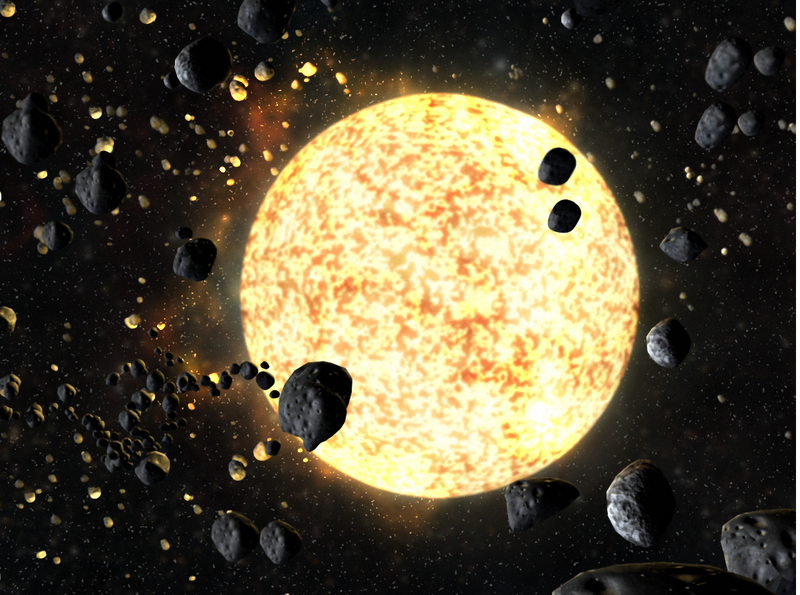 Players can construct the Earth’s Moon, then blast it with projectiles to form its surface and flood it with lava to create what you best think that the moon looks like. For you educators, you will be happy to know that Selene meets AAAS (American Association for the Advancement of Science) and NSES (National Science Education Standards) National Standards, as well as many state curriculum standards, including the game's home state, West Virginia. In order to play the game, you will need the latest version of Flash, an up-to-date web browser, a broadband internet connection, and a computer with a good graphics card. The game works with Windows, Mac OS X, and Linux. You can get away with using Integrated Graphics, but gameplay is much smoother (and faster) if you have a dedicated graphics card. Because the game is part of a study, kids cannot directly sign up to play themselves. Rather, an adult, someone like a parent or teacher, must sign up as a “recruiter” first, and then the recruiter can generate access codes that kids can use to access the game. Any size group is welcome to sign up. To get started, please visit http://selene.cet.edu/ to find out more and sign up.